America is known for its fast food, although when you sift through the onslaught of fast food you can find some really great regional American cuisine. Here is a list of some of the great cuisine options you may find when visiting or living in the United States. Alabama Buttermilk Biscuits are some of Alabama’s best local food. They are made to be fluffy and soft to eat with a complimentary jam choice to give you a great southern-style breakfast. One of the most common fish in Alaska, Salmon can make a tasty dish when added. 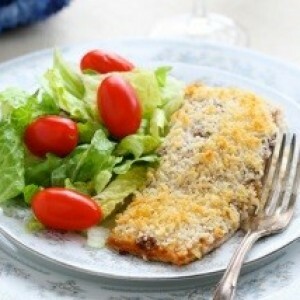 The baked salmon Alaska features panko crusted crumbed salmon with a side of lettuce and tomato. Great for any time of the year. Arizona Quesadillas are definitely on the must eat list. These beauties feature open faced flour tortillas covered in cheese and butter along with cheese crisps. They are a big hit in Tuscon and only feature 1 tortilla instead of the normal 2 making them the Arizona special. Pickles are always a favourite although the Arkansas Fried Pickles definitely boosts it up that extra bit. A big hit in Atkins AR, they’re perfect for dunking in dips and dressings to give them that extra something special when eating. Bacon Wrapped Dogs are said to be the official hot dog of L.A. Hot dogs covered in bacon then slathered in tasty honey barbecue sauce make for a fine treat. Served sizzling hot, it is one of L.As finest. Denver is the National Bison Head Association’s headquarters and for good old Colorado cuisine you can’t go past the Denver Bison Burger. Featuring all the favourites with good old bison patties you will definitely taste the difference when taking a bite out of the Bison. New Haven is home to the New Haven Hamburger. This burger is served in the Louis’ Lunch restaurant. Here you get to choose what you want to put on the burger and dress it up accordingly. Have all the favourites or just a plain hamburger with buns.